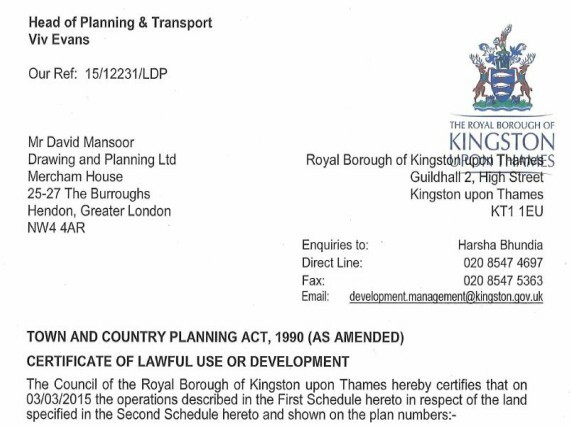 Drawing and Planning have successfully secured a Certificate of lawfulness for erection of hip to gable roof extension and replacement of pitched roof over double storey side extension with flat roof. Installation of 3 x rooflights to front elevation. PROJECT Erection of hip to gable roof extension and replacement of pitched roof over double storey side extension with flat roof. Installation of 3 x rooflights to front elevation.